NATURE’S GOODNESS for SCAR REPAIR. Loaded with antioxidant known to rid the skin of free-radicals and harmful effects of UV. We’ve included VITAMIN C, another antioxidant that helps with free-radicals and stimulate collagen production to decrease the appearance of FINE LINES, SCARS & STRETCH MARKS. 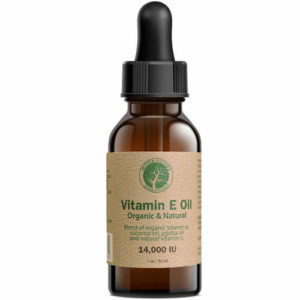 Combining Vitamin E & C speeds up the mending procedure of the skin. 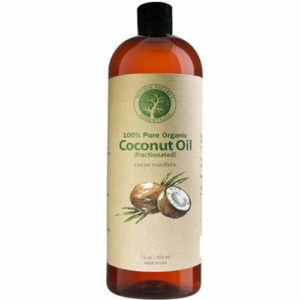 Contains a perfect blend of planet-based ORGANIC d-alpha tocopherol 14,000 IU, Organic Wildcrafted Coconut Oil, ORGANIC Jojoba Oil and Natural Vitamin C. Vitamin E oil is never “cold-pressed”, rather vitamin e oil is obtained by extracting it from nut and seed type oils rich in vitamin e so please be aware of any claims to cold-pressed. 100% CUSTOMER SATISFACTION GUARANTEE. We want you to live healthy. Exceptional customer service is our priority. 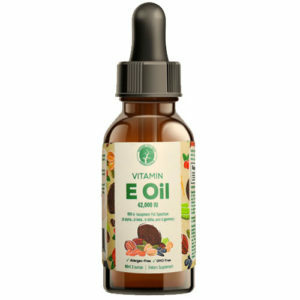 Love our Vitamin E Oil or choose between a full refund or a free replacement. Contact us here. Your product 100% Pure vitamin E oil can use for body massage oil? Also for face and hair? Yes this definitely for body, hair and face. will you make this product in 1 fl oz. it seems, half an oz is way too small, thats only like if used it for aromatherapy. but im using it for my dry flaky face. thanks. Definitely. We are currently out of stock but are working to restock the product.